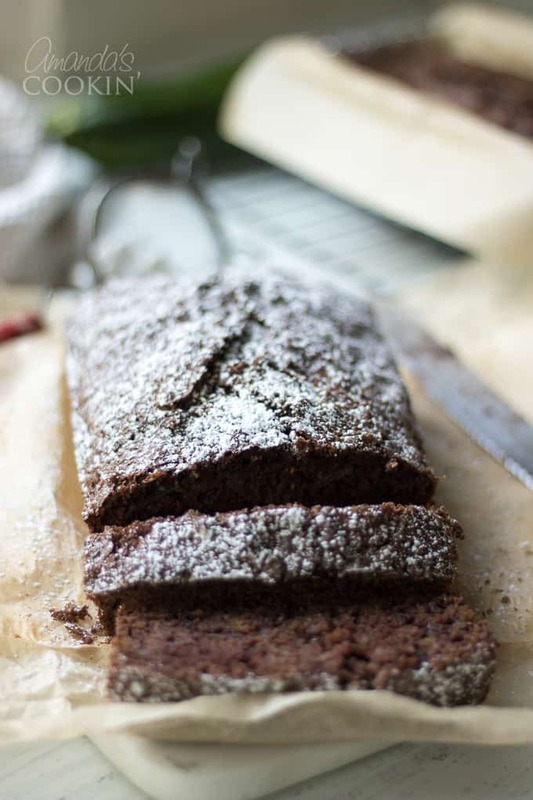 Chocolate Zucchini Bread: moist, rich, and full of chocolate goodness. 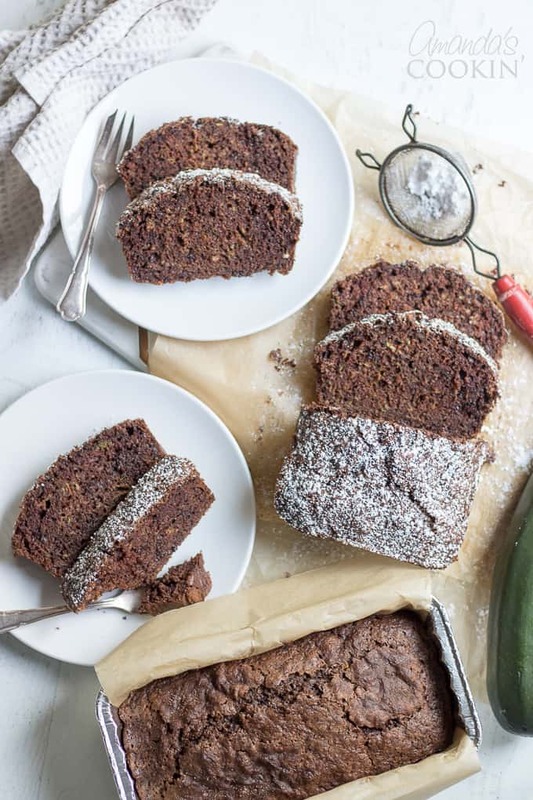 At the end of summer, when zucchinis are in abundance is the perfect time to make chocolate zucchini bread. 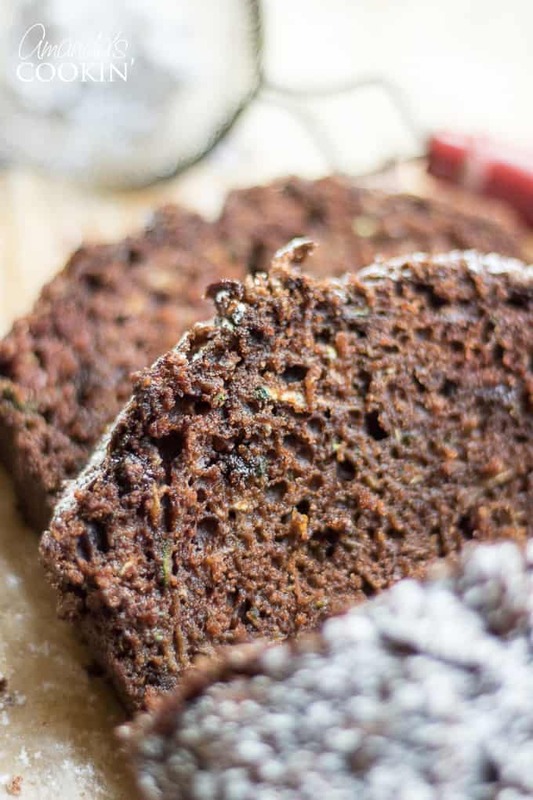 This chocolate zucchini bread is moist, chocolatey and every bit of delicious. 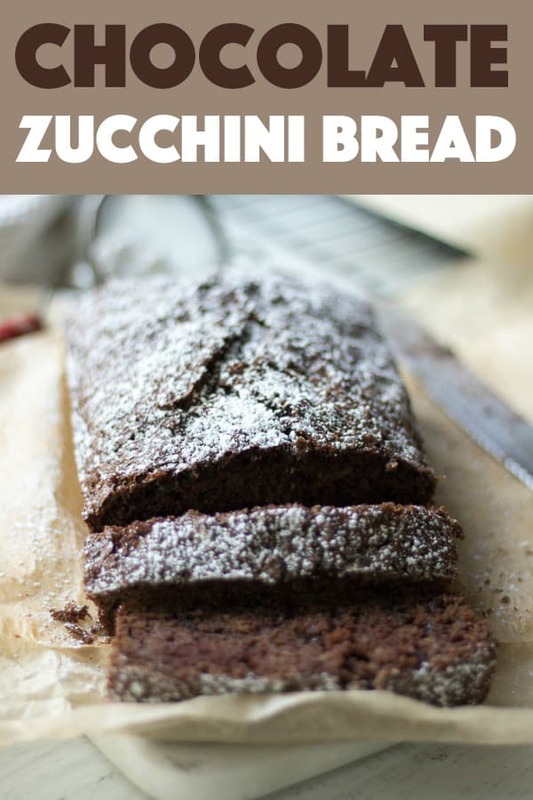 Zucchini bread is a popular recipe, one that is loved by so many people. 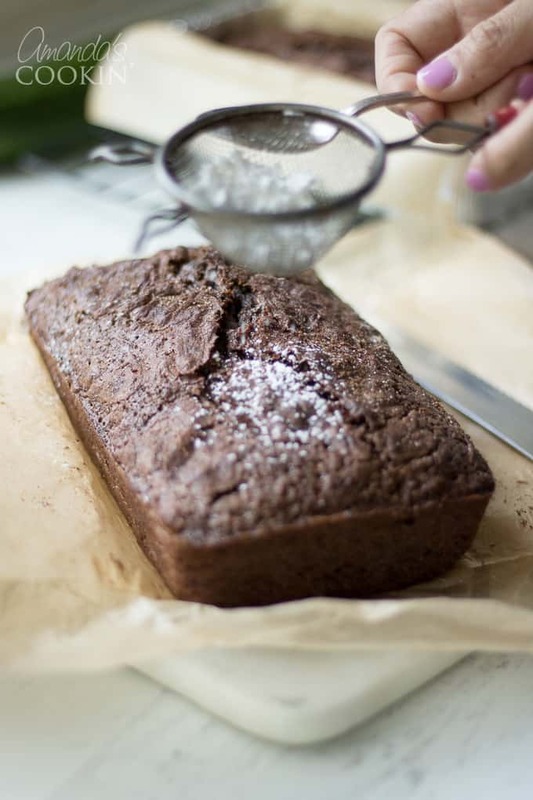 Two of our favorite types of zucchini bread here at Amanda’s Cookin is this chocolate version and our lemon zucchini bread with blueberries. 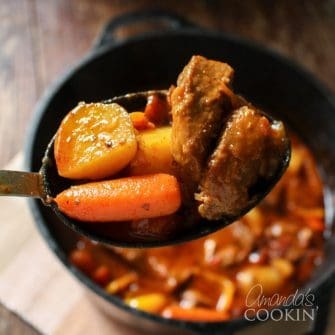 It’s a recipe that has been adapted in many different ways over the years but still remains famous for just how good it is. I made this twice before freezing the rest of my shredded zucchini. I plan to make some later into the winter to remind me of the warms days long gone. Preheat oven to 350 degrees. Butter and flour 2 loaf pans and set aside. I actually used one 8″ disposable pan to give away and a larger 9″ one for me and the batter divided perfectly. So you should get 2 very full 8″ pans or slightly less full 9″. 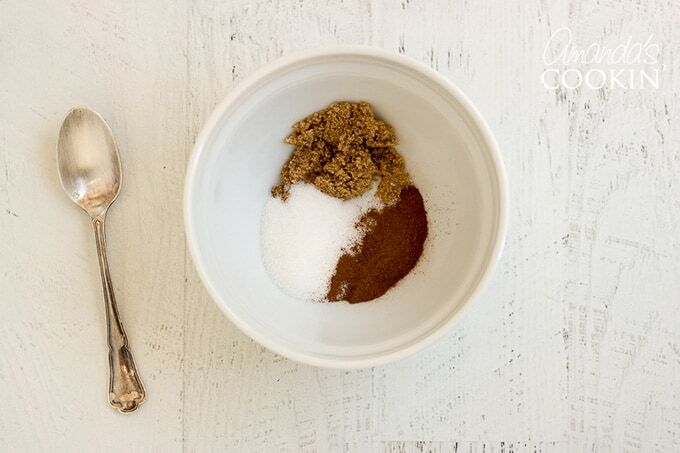 Mix topping ingredients in a small bowl and set aside. 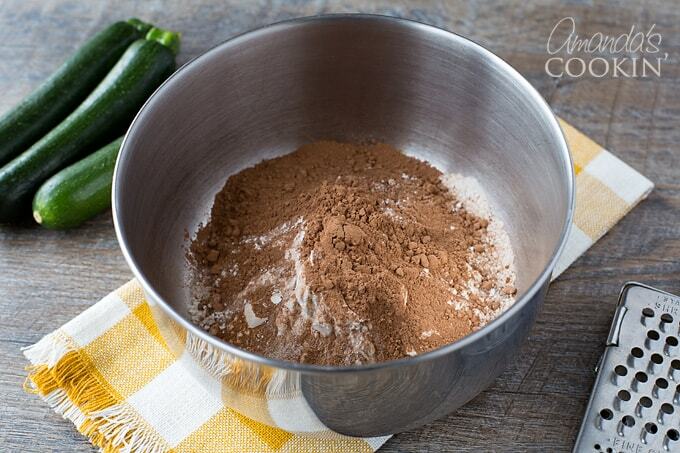 Place flour, cinnamon, baking soda, salt, and cocoa powder in a small bowl and whisk to combine. Set aside. 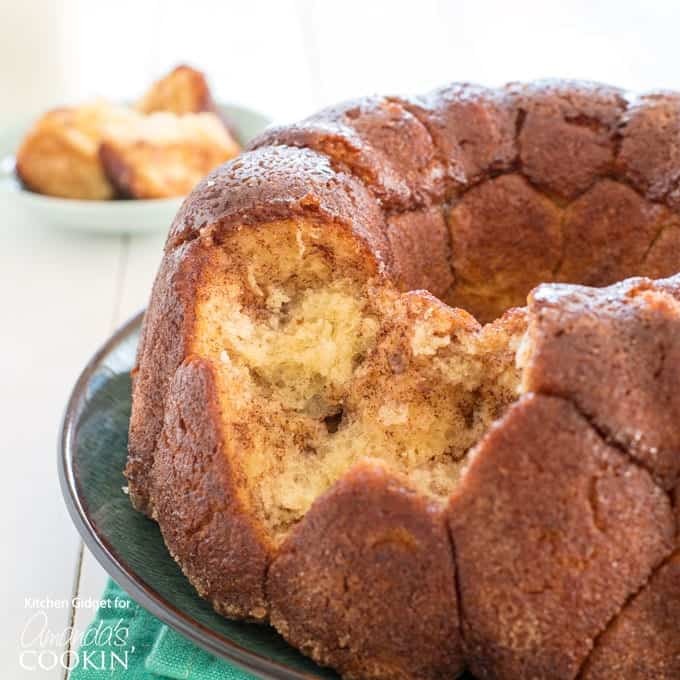 With a stand or hand mixer beat oil, white sugar, brown sugar, and eggs until combined and slightly fluffy, 1-2 minutes. 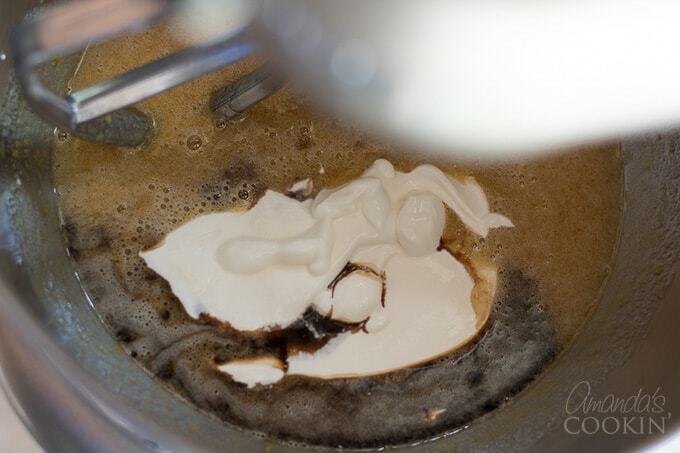 Add vanilla and sour cream and mix until combined. 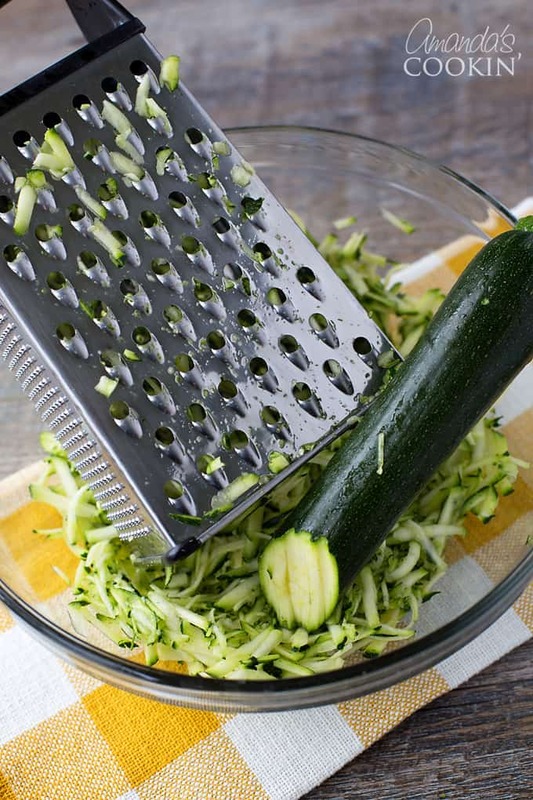 Gently stir in the grated zucchini (and zest if you’re using). 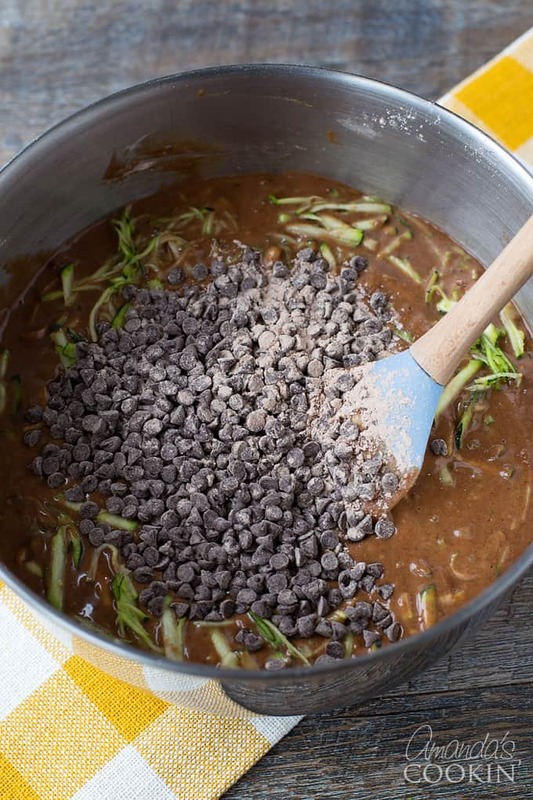 Take a spoonful of the flour mixture and stir in with the chocolate chips (that will help keep them evenly distributed.) If you only have regular chocolate chips, or a chocolate bar, just give it a chop so it’s the size of mini chocolate chips. 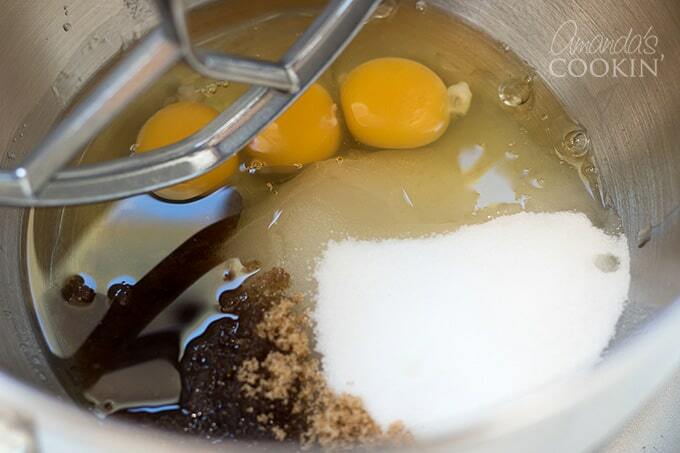 Add the remaining flour mixture to the batter and stir just until combined. 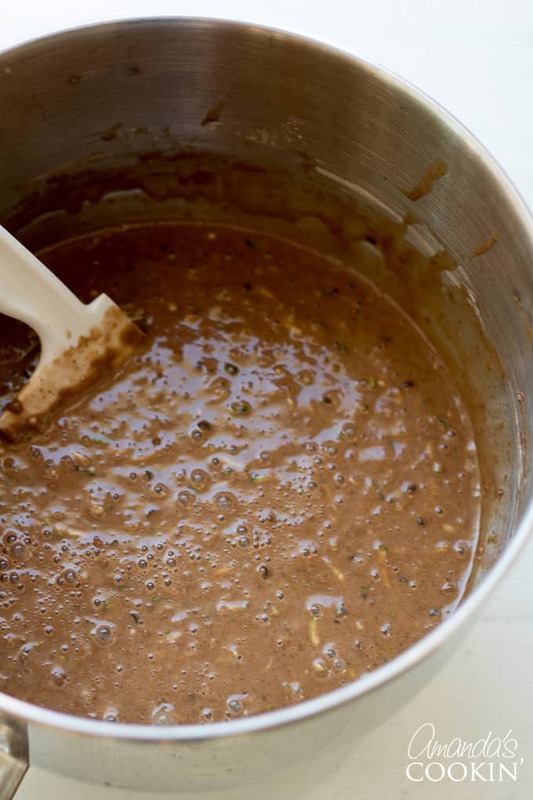 Add chocolate chips and stir to combine. Divide the batter between the two pans and sprinkle topping over each. Place pans on a cookie sheet for easy moving. Bake in your preheated 350-degree oven for 50-60 minutes. When it’s done a toothpick or skewer should come out without goopy batter on it and the top will be gorgeous and cracked with sugar. 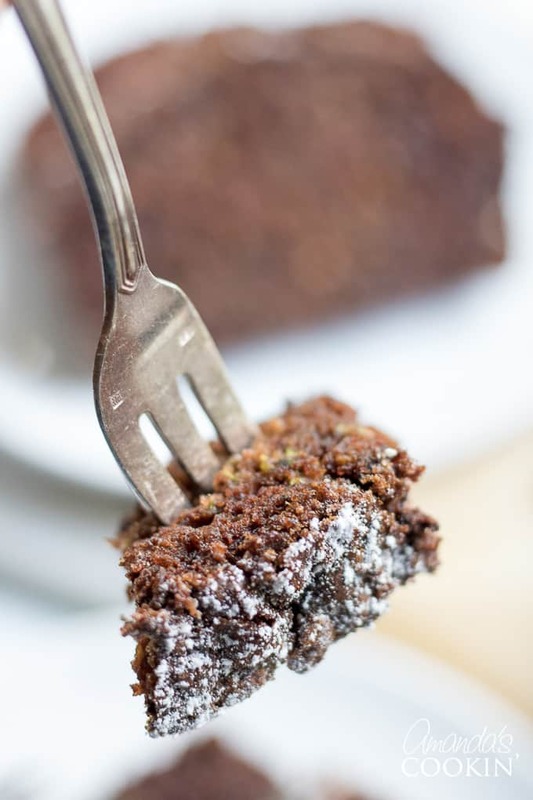 Optional: add powdered sugar to the top of your chocolate zucchini bread for a little extra sweetness. Let it cool on a rack for 5-10 minutes and then remove from pans. 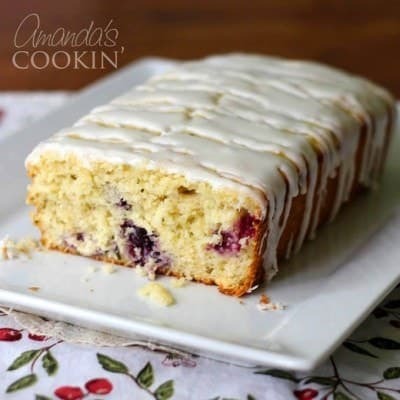 Incidentally, this tastes more like cake than a quick bread, so enjoy! 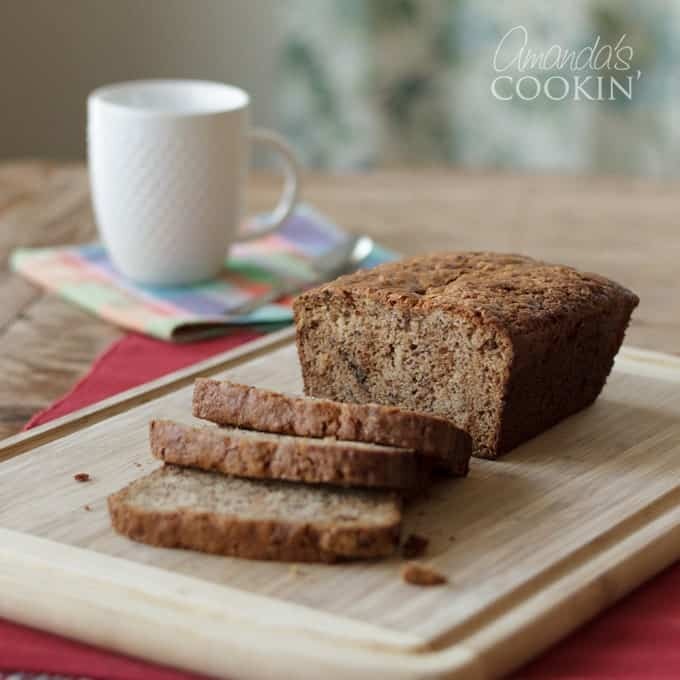 Check out more of our favorite quick bread recipes below. 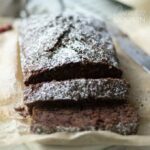 If you have an overabundance of zucchini in your garden, you are going to love this chocolate zucchini bread recipe! Preheat oven to 350 degrees. Butter and flour 2 loaf pans and set aside. I actually used one 8" disposable pan to give away and a larger 9" one for me and the batter divided perfectly. So you should get 2 very full 8" pans or slightly less full 9". Divide the batter between the two pans. and sprinkle topping over each. Place pans on a cookie sheet for easy moving. Bake in your preheated 350 degree oven for 50-60 minutes. This recipe makes 2 loaves, 10 slices per loaf. This post was originally published on this blog on Oct. 23, 2009. Looks absolutely delicious and so moist! 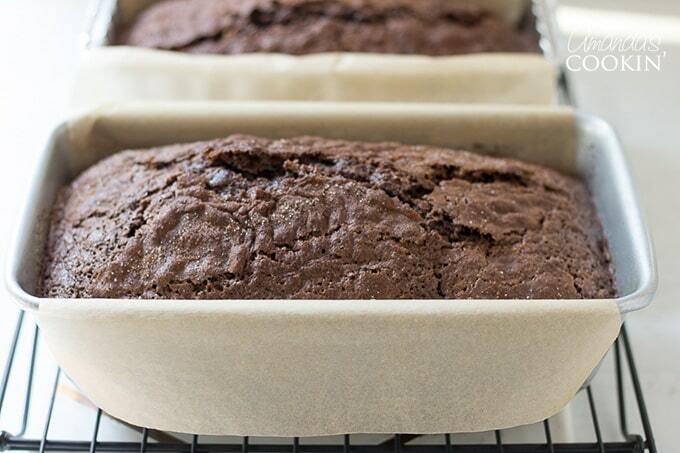 Thanks for the great Chocolate Zucchini Bread recipe. It's the best I have ever made. 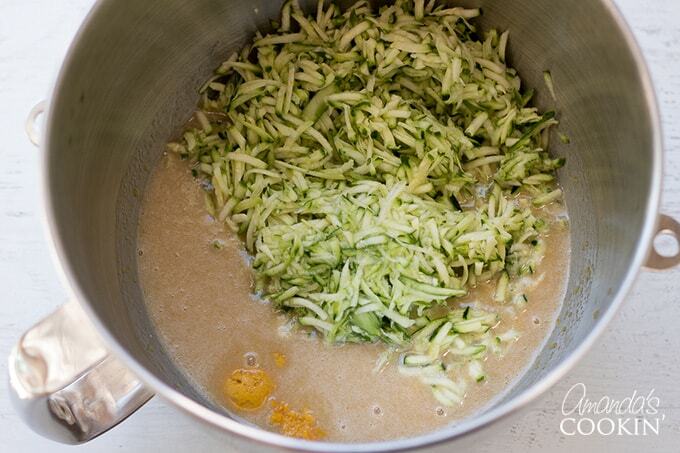 My family just loves it.All ready have and abundance of zucchini to freeze so I will be able to make it all winter. Cory – I'll have to check out your cupcakes! I need to make one of these loaves!